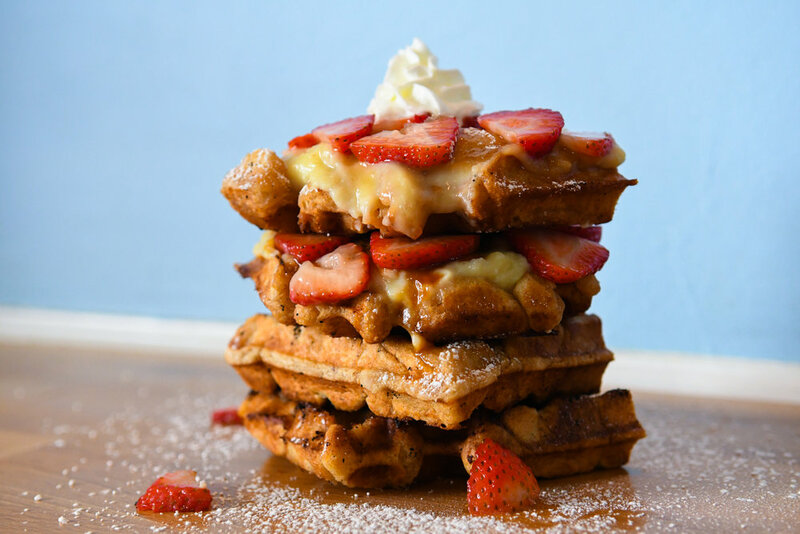 Located in the heart of Historic Downtown Saint Augustine, Cousteau's offers Belgian Liege Waffles and Hand-Spun Milkshakes. Our sweet and chewy waffles are made in-house from dough filled with Belgian pearl sugar, then cooked and caramelized fresh to order on our hot cast iron press. Our rich, thick milkshakes start with dense housemade soft-serve ice cream, then get blended with a whole range of homemade goodies and topped with fresh whipped cream. 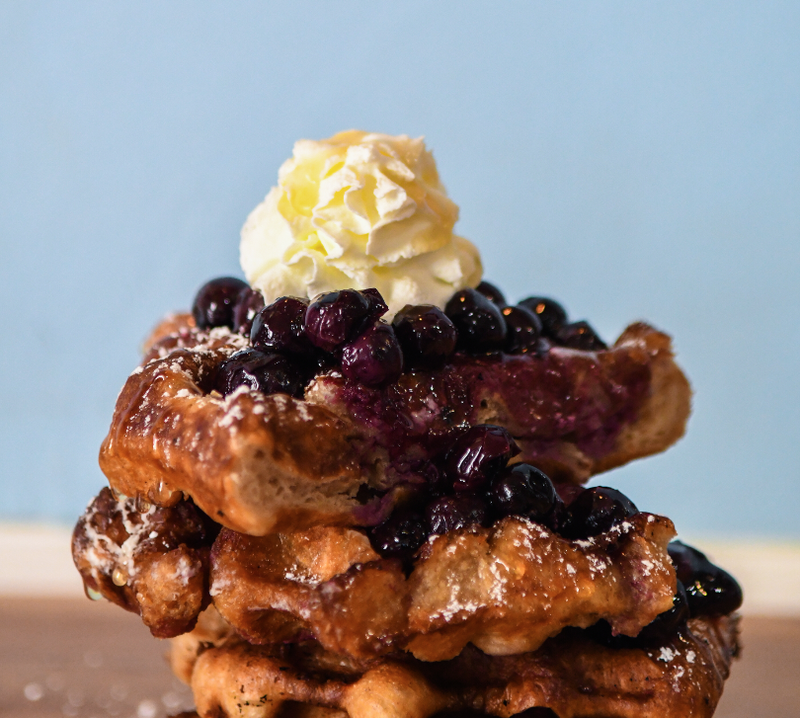 Our famous Liege Waffle, topped with fresh blueberry compote, whipped cream & local honey. Topped with creamy peanut butter & fresh banana slices. Topped with toasted coconut ice cream, espresso whipped cream, mocha drizzle & toasted coconut. Our Belgian Liege Waffles are chewy and sweet all on their own, but don't hesitate to pile on toppings to your hearts content! Choose from toppings like candied pecans, candied bacon, fresh berries and homemade marshmallow fluff! Don't let the lack of toppings fool you. Our Belgian style Liege Waffle is chewy and sweet all on its own! You can enjoy it topped with powdered sugar or build your own delectable creation by choosing from our list of OFF THE CHARTS TOPPINGS! Two halves of a waffle sandwiched around your choice of ice cream, dipped in chocolate. Bite-sized pieces of our famous Belgian sugar waffles topped with powdered sugar & ready devour. Call the shop to order them for your next gathering, or just stop in and grab a bag to go!